Doctors must adopt new treatments that look beyond diet, exercise and surgery if they hope to stem the Middle East’s rising obesity epidemic, a leading Cleveland Clinic surgeon said today during the Arab Health Congress 2018 in Dubai. Dr. Matthew Kroh M.D., who is Chief of the Digestive Disease Institute at Cleveland Clinic Abu Dhabi, and has held a number of clinical and research roles at Cleveland Clinic’s main campus in the United States, says there are several innovative new endoscopic therapies now emerging, using devices placed into the stomach or intestine to help patients lose weight. Procedures to reduce appetite include endoscopic sleeve gastroplasty, in which sutures are used to decrease the stomach size, and intra-gastric balloon placement, in which the balloon occupies space within the stomach. Each approach reduces the amount of food the patient needs to feel full, so eats less. Other innovations include liners that decrease absorption from the small intestine, and devices that affect receptors for the hormone grehlin, which helps regulate appetite and also the distribution and rate of use of energy. 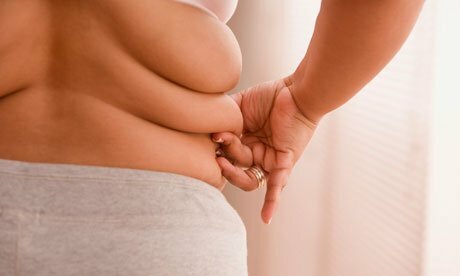 Some techniques do not target weight loss, but rather focus on related disorders such as diabetes or fatty liver disease, which are part of a closely linked series of lifestyle diseases that reduce both the quality and length of life. Dr. Kroh says the new techniques are not necessarily better than existing methods, but offer more options to tailor treatment to individual needs. The Arab Health Congress 2018 brings together business, leadership and clinical healthcare professionals, sharing medical knowledge, and providing the very latest updates and insights into cutting edge procedures, techniques and skills. Cleveland Clinic has a longstanding association with Arab Health, providing Continuing Medical Education (CME) accreditation for eligible conference sessions. 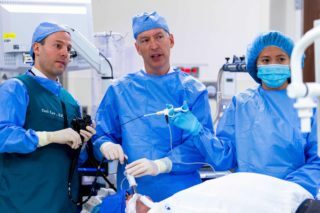 Cleveland Clinic physicians, both from the United States and based at Cleveland Clinic Abu Dhabi, also contribute to organizing the congress agenda, and feature prominently among the speakers for conference sessions. Click on the link to find out more. Do you have a set weight goal? Click on the link to find out why you should avoid these 5 food felons.